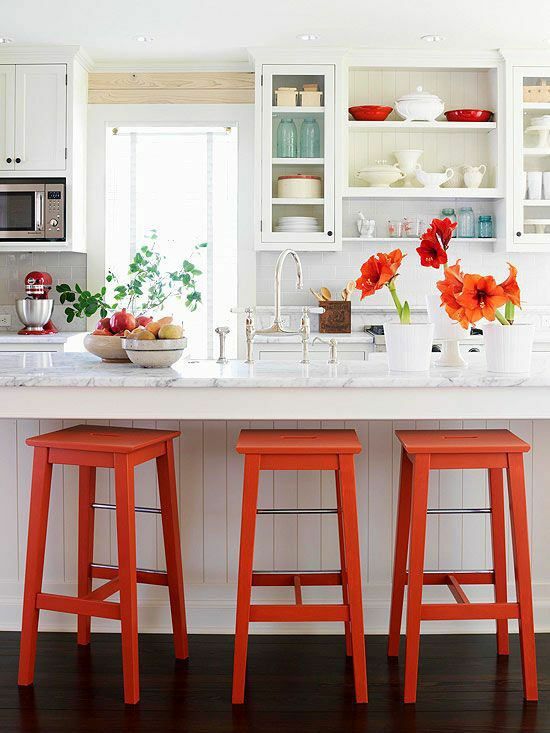 Paint It White, Add Bright Colors and Live a Decorated Life! Bright colors are a brilliant addition to a home with a predominately white color scheme if you need some colorful inspiration. Too many bright colors and you could create a schizophrenic disaster. The key is discipline. It depends on the size of your space as well as the amount of natural light your rooms get. But even simple items like colorful plates, benches and a painted floor can create an astonishingly elegant look. Interiorholic's article Bright and Colorful Interior Design is a perfect example of how to use bright colors with a mostly white interior design. With the influence and tones being etched in gray of late, its nice to feel the strong colors against winter white wall paint. These strong colors against clean white feel vibrant and refreshing... not cold or dull at all, but energetic and dynamic. Both living room and dining room are designed in the same color scheme since these are two adjoining rooms. The main colors used there are neutral. 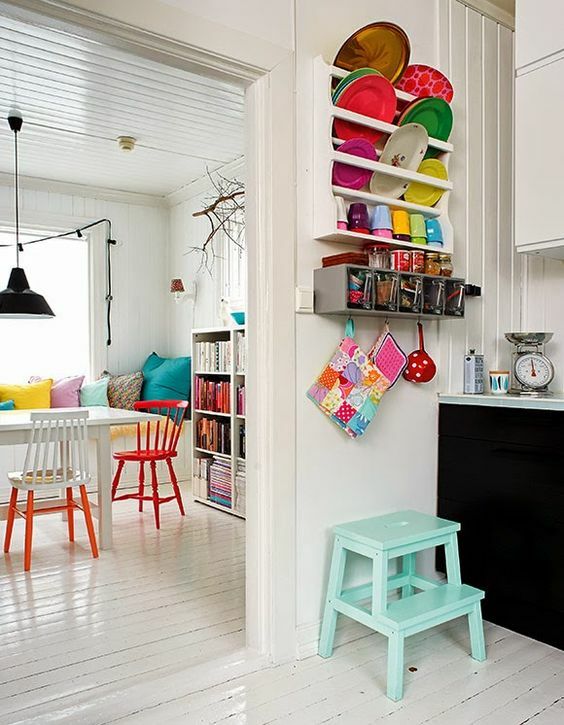 The furniture is emphasized with bright coral, yellow, and turquoise. An amazing color mix! Remember to comment, Like us on Facebook and share!